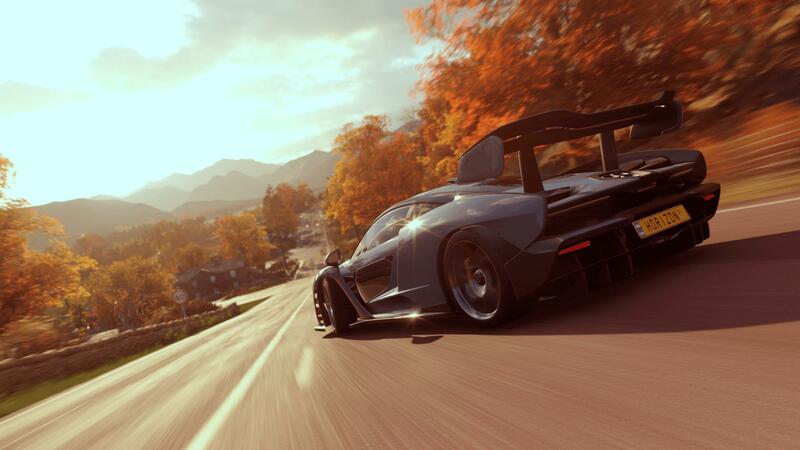 Turn 10 Studios has revealed all the Achievements available to unlock in Forza Horizon 4 ahead its worldwide release on October 2nd, 2018. The full list was posted by the folks over at TrueAchievements earlier in the week before being republished in the latest Forza Motorsport Week in Review. We’ve also shared them below for your convenience, including the official title, description and Gamerscore value of each Achievement in the game. There’s a total of 55 Achievements to unlock in Forza Horizon 4, and they naturally add up for a combined total of 1,000 Gamerscore points. From qualifying for different seasons in the Horizon Festival to completing Forzathon events, there’s plenty of ways to add to your total Gamerscore value by playing Forza Horizon 4. One of the Achievements that stands out to me most is ‘Never Tell Me the Odds,’ which requires players to win a race using the classic Peel P50. Indeed, the smallest production car in the world will make its video game debut in Forza Horizon 4, but for those eager to learn more about the car list in the upcoming open-world racer, Turn 10 says it will be revealing much more about it in next week’s edition of the Forza Motorsport Week in Review. 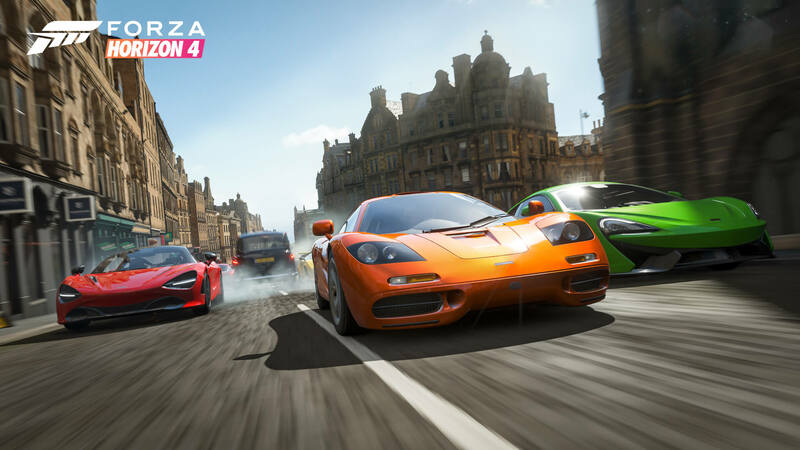 The developer will also be offering a deep dive into the Forza Horizon 4 car roster in its next edition of the Forza Monthly broadcast show on Monday, September 10th. Back to the Achievements, and there’s a bunch that reward you for taking advantage of all the new features and functionality in Forza Horizon 4. 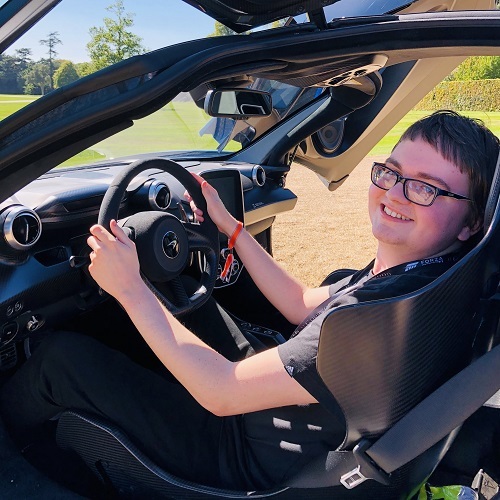 These include applying different Car Masteries – the perk-based progression system available for all vehicles in the game, completing different rounds in various racing series, reaching a specified rank in PR Stunts, finishing a set number of chapters in Horizon Stories – the all new story-driven and business-focused campaign experience in Forza Horizon 4, unlocking new clothing items, viewing Beauty Spots, qualifying for Leagues in the new competitive-inspired Team Adventure mode, restoring Barn Finds, and purchasing a landmark castle such as the one located in Edinburgh – the most expensive property in the game. Of course, for those eager to explore Forza Horizon 4’s detailed map, then there’s one Achievement for driving down all 531 roads in the game’s incarnation of beautiful, historic Britain. There’s also a few that will be challenging for some, but not everyone. These include banking a Skill Chain of 195,300 or more points for the ‘Coronation Trickin' Achievement. Though it’s worth keeping in mind that one of the new Car Mastery unlocks in Forza Horizon 4 allows you to break your Skill Chain once without losing the points you’ve gathered – giving you another chance at banking your Skill Chain without any form of penalty, so this perk will be sure to come in handy here. 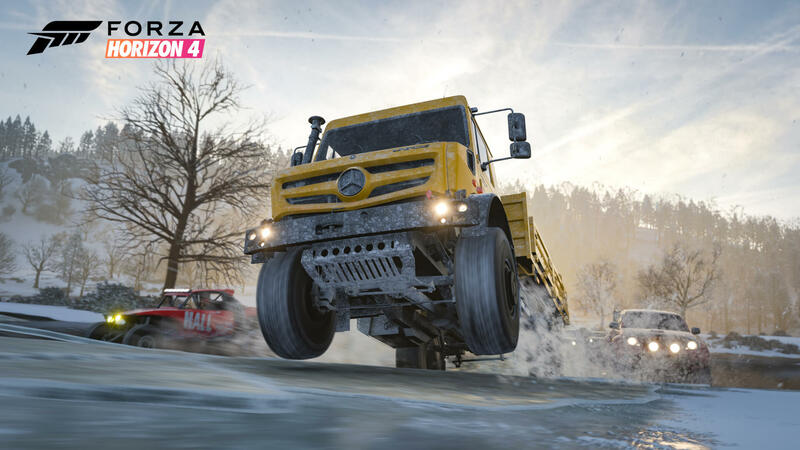 Another pesky Achievement tasks you with achieving 3 stars at a Danger Sign using a truck, which are new to Forza Horizon 4. These monsters are big, heavy and the not the fastest machines out there, but throw in some upgrades under the hood and they’re sure to excel at these Danger Signs – let’s just hope it’s enough for 3 stars. Below, you can check out the complete Achievements list for Forza Horizon 4. These apply to both Xbox One and Windows 10 PC, and your unlocked Achievements will be synchronized across both platforms. Overall, the Achievements list for Forza Horizon 4 is quite respectable. A lot of these will be unlocked through standard progression, whilst the rest are somewhat challenging but not too difficult – so you shouldn’t rage too hard at them, hopefully. Otherwise, this assortment of unlocks appears to be less grindy and challenging than those found in Forza Horizon 3 and Forza Horizon 2, based on initial inspection. Obviously, some of them will be pesky for players, but for the most part, they shouldn’t require too much time or effort to unlock. More Achievements will likely be introduced into Forza Horizon 4 following its release. Forza Horizon 3 finished its lifecycle with a total of 2,500 Gamerscore points to unlock, spread across a total of 131 Achievements. With two expansions already planned for Forza Horizon 4, as well as weekly updates and content additions, players should expect new Achievements to arrive into the game over the months following its global launch. Whether they’ll be more challenging or even easier, we’ll have to wait and find out for ourselves. Forza Horizon 4 takes the Horizon Festival to beautiful, historic Britain when it launches across Xbox One consoles and Windows 10 PCs on October 2nd, 2018. Ultimate Edition players can start playing four days early from September 28th, whilst Xbox Game Pass members can also check out the game at no additional cost from its global release date. With more than 450 cars to collect, race and customize, as well as Dynamic Seasons that change and evolve every week, players have a lot to be excited about in the next installment of Playground Games’ critically-acclaimed and beloved open-world racing series.